If your car club would like to host the Fast Lane Fridays Car Cruise for 1-2 events in 2018 please contact Mark Caise at Info@NEStreetOutlaws.com. What does it mean to host, it means we give you a great location for your car club to come out and setup a cruise absolutely FREE. 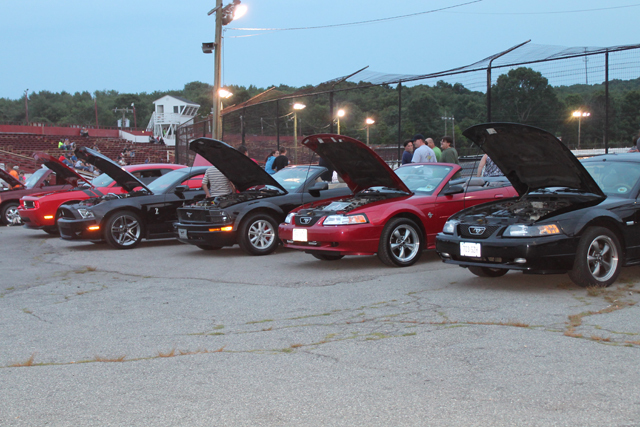 The car cruise is not limited to just your club, anyone can drive in and put their car up for display. However, we will promote your car club, include you on the schedule, in marketing material and provide the awards for Best In Show, the Nightly Specialty Award(s) and Best In Show for your car club. This is a great way to have a fun and unique night out with your club; we are of course the areas ONLY Drag Racing & Car Cruise combo event. Did we mention Fast Lane Fridays include FREE Car Cruise Entry and FREE Grandstand Admission! !